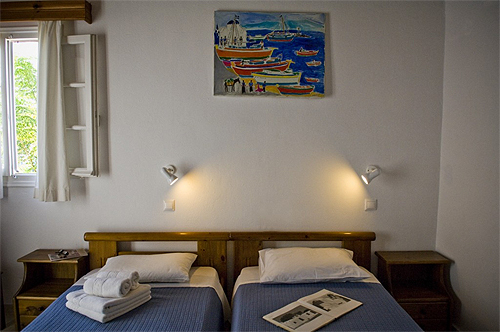 Matina Hotel, established in 1958, last renovated in 2010, built in traditional Mykonian style, is well situated in the heart of town with access to all major points of interest: beaches, museums, restaurants, bars, night clubs, shops, banks, transportation. 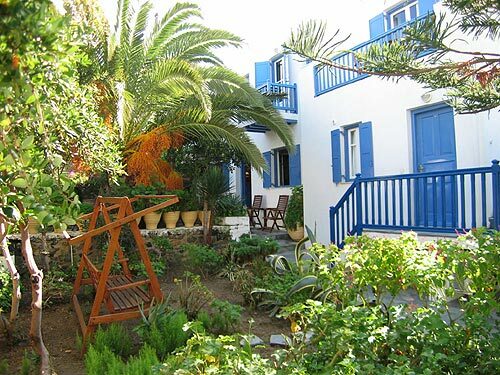 Built on the best area of Mykonos town, in a beautiful garden, Hotel Matina, recently renovated, offers tranquility day and night - all rooms with the facilities listed below. 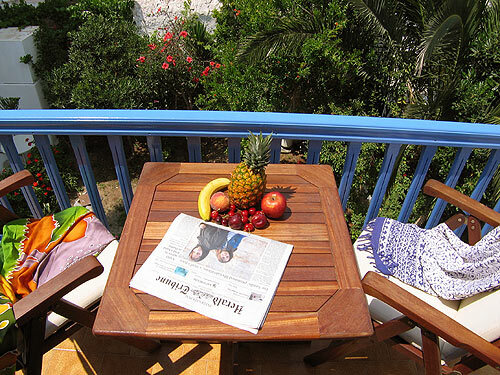 Breakfast in the cozy garden, drinks in the bars, warm family atmosphere, reasonable prices guarantee you an unforgettable stay. 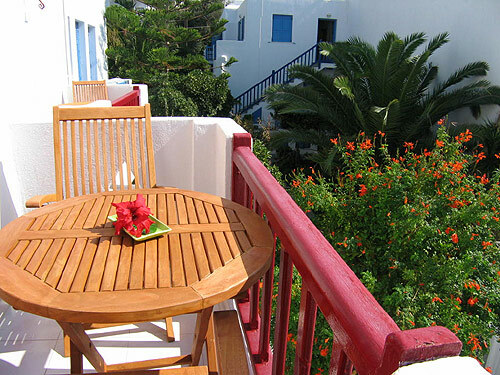 Mykonos Chora is a stunningly pretty town, with the brightly painted balconies of the whitewashed cube shaped houses and a maze of narrow streets, is gathered around its harbour in the middle of a wide bay. 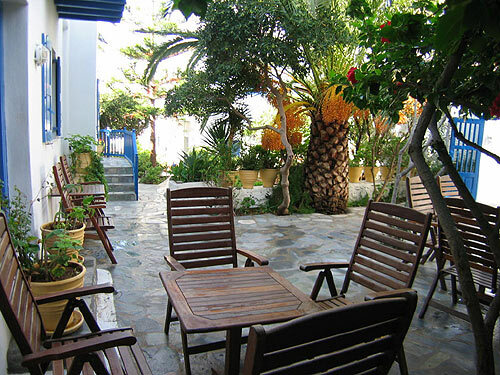 Traffic is banned from Mykonos town center, thus the character of the town has been preserved. There is no need to mention the world famous vibrant nightlife, where the island dances till the morning, no need to mention the numerous smart restaurants neither the bustling jewellers and boutiques. On the Kastro hill is the island's oldest church, Panagia Paraportiani, an arrangement of four chapels into one. 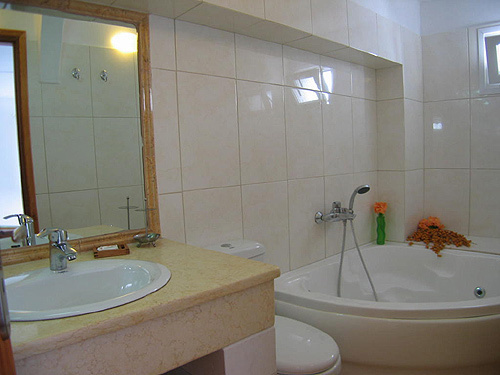 VISA or MASTER CARD number or check (2days pre-payment to the name YANNIS KONTIZAS - HOTEL MATINA). 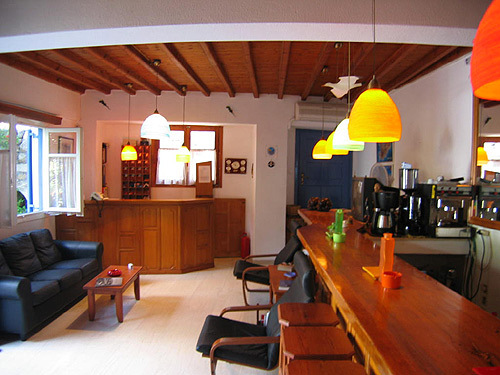 *Breakfast 13.00 euro per person (optional). 24 hours notice before arrival full charge.